The Strong Spirit Path: The Trust Your True Nature Low-Carb Lifestyle Paperback & Kindle Now Available! 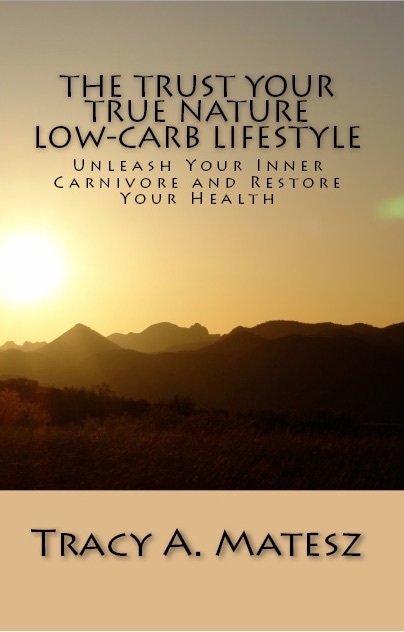 The Trust Your True Nature Low-Carb Lifestyle Paperback & Kindle Now Available! 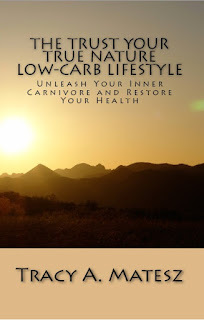 A quick post to share the links to The Trust Your True Nature Low-Carb Lifestyle (paperback and Kindle version) which after much time spent editing is finally available. Yipee!!! My original publication was premature. Since then, I have uploaded an entirely new book (with a new ISBN) so I will link it here. Apologies for any confusion. It is also available Kindle, having added the color food photos back that were removed from the original version. It costs a lot to print with the color photos, and I preferred the book to be available on the cheap, um, I mean affordable. Good quality, low price. I have experienced and witnessed the endless pain and dis-ease inflicting the general populace that is a result of eating the wrong foods. While I used to believe it was primarily the refined processed grain products, junk foods, and sugar-laded beverages that were the main culprit of our nations diminishing health, I now see that plant foods (carbohydrates) in general (especially consumed in excess) are the primary source of poor health. The more plant foods one consumes, the less of the truly nutrient-dense foods that nourish our health and enable us to thrive are consumed ~ with great detriment to our bones, teeth, vision, reproductive cycles, and overall health, especially as we age. And while some may find relief being vegan for a short time, the length of time they will be able to sustain it will be contingent on what they had been eating, and for how long. Plant foods contain too many anti-nutrients, and are deficient in several important vitamins (Vitamin A, K, B12, and bioavailable iron, zinc, B6, many amino acids, and more) only found in animal foods. Enough said about this for now! To learn more, check out the videos I linked to on my previous post, or check out any of the resources linked below ~ including my book! Read details about the The TYTN Low-Carb Lifestyle, including the outline to the book here. I may create a print on demand option of the Kindle version from Kindle. It's a different format than the format used for self-publishing on Amazon. If the price is better, I'll get it set up for those who prefer a book they can hold, with the pictures. The paperback and Kindle covers are different, which while it was unintended, can perhaps better distinguish the two. Cool lioness and cub photo are the Kindle version. Any purchases made through the links provided are greatly appreciated. They do not cost you anymore, but does provide a small commission for me.